While many crashes involve either no injuries or minor injuries, the unfortunate reality is that some car accidents have serious and even fatal results. Any time you step into a vehicle and get on the road, the risk of experiencing an accident is very real. Injuries from car accidents can be of all types. They can be minor and require limited emergency room treatment. They can be temporary disabling, and cause weeks and months of stress, pain and lost wages. Certain injuries can require surgical intervention that may be able to correct the problem, or just provide the “best fix” for a permanent, life changing condition you now have to live with. As we all know, some injuries can prove fatal. Severe, debilitating and permanent injuries that can arise from the most commonplace accidents can, and typically will, result in significant financial losses to the individuals involved and their families. These damages include, medical expenses, lost wages, lost ability to earn, out of pocket expenses, funeral expenses and various other economic losses. The law also allows an injured person to recover for the pain and suffering caused by their injuries and treatment. Proving successful on an injury claim can never repair the damage that is done to someone, but it can – and will – help with the financial burdens created. 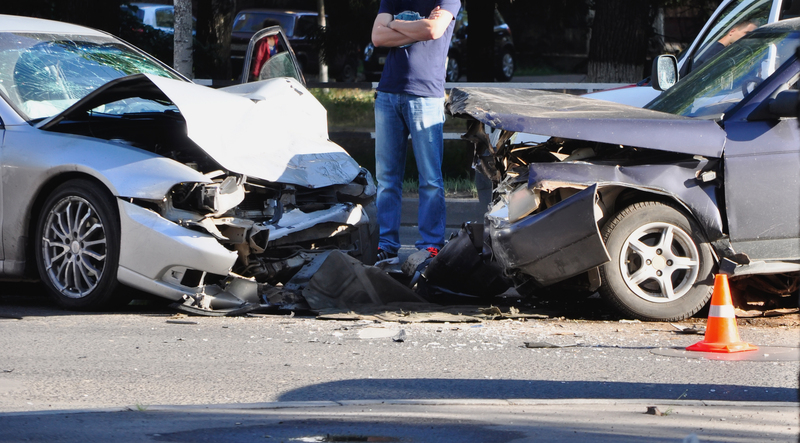 Most times, the person at-fault in the collision will have liability automotive insurance. Their insurance company is who we will be negotiating with regard to your injury claims. If the person who caused the collision does not have liability automotive insurance, then we will look to your policy of automotive insurance to see whether you carry coverage for uninsured motorist benefits. Some folks are hesitant to make a claim against their own insurance company for fear that their insurance premiums will increase. I always explain to these folks that their insurance premiums are ALWAYS going to go up regardless of whether they make a claim, and there’s nothing wrong in making a claim for insurance coverage that you have been paying for year after year. Pick the phone up and CALL ME if you have any questions about your car accident case or would like to schedule your FREE consultation.